Leinster flanker Sean O’Brien is expected to join London Irish after the autumn’s World Cup. The 31-year-old back-row forward is understood to have agreed a lucrative deal to join the Exiles, who are on course to win promotion back to the Premiership. 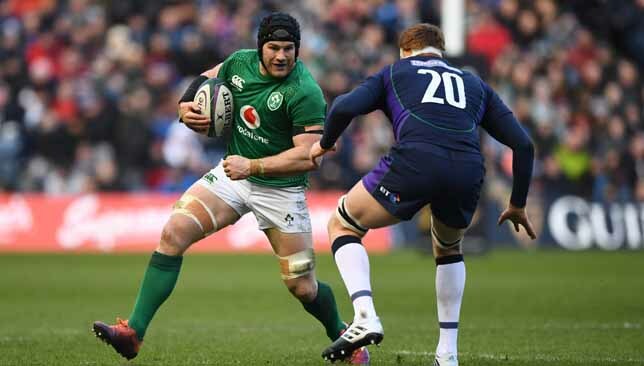 O’Brien would risk his Ireland future with a move abroad, with the Irish Rugby Football Union (IRFU) adopting a policy of only selecting overseas-based players in extreme circumstances. Ireland selected Johnny Sexton during his two-year stint at Racing 92 between 2013 and 2015, but have not picked anyone based abroad since. O’Brien’s international swansong could well now become this year’s World Cup then, after which his IRFU contract expires. O’Brien has struggled with a string of injuries across a standout Leinster, Ireland and British and Irish Lions career, but still boasts 53 caps for his country. 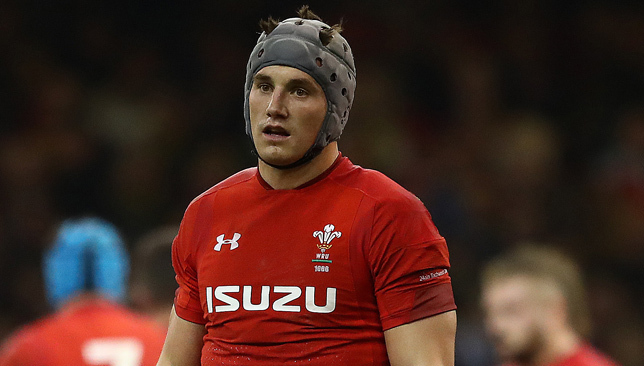 The combative loose-forward also has five Lions caps to his name, and remains one of Ireland head coach Joe Schmidt’s most trusted lieutenants. Ireland’s well-respected player welfare system ensures the IRFU can retain almost all of its top talents, with top stars given more rest than almost all their peers from other Test nations. Ireland and Leinster would not want to lose O’Brien, but the hugely-admired flanker would not be begrudged a new challenge at this stage of his career. Former Ireland boss Declan Kidney and ex-Ireland defence coach Les Kiss have partnered up at London Irish, and that link-up has proved central to O’Brien’s expected move. Mike McFarlane admits he has been “blown away” by all the messages of congratulations after bowing out as Abu Dhabi Harlequins head coach following an unprecedented three-and-a-half year period of success. The Englishman’s scintillating run as Quins boss came to an end last month when the club announced he had returned home to the UK, believed to be for family reasons. It brought the curtain down on a glorious tenure for Quins in Middle East rugby, with McFarlane overseeing a period of unparalleled dominance after taking up the position of head coach in the summer of 2015. “Obviously the club means a tremendous amount to me and I’ve been blown away from all the messages I’ve received recently,” McFarlane told Sport360. McFarlane – a former Quins player who was forced to retire after breaking his leg for a second time in September 2013, in only his second game back following an initial 15-month layoff – instead turned his drive to coaching, and how it paid off. Under previous coach Jeremy Manning – a former Munster and Newcastle Falcons full-back – Quins won the UAE 2014/15 UAE Premiership and Dubai Sevens double. But it was under McFarlane that the club were truly launched into orbit, winning another eight trophies under the Englishman. It was a galaxy inhabited solely by them in an unfathomable 2016/17 campaign in which Quins won the quintuple – the West Asia Premiership and Cup, UAE Premiership, Dubai Sevens and Asia Rugby Western Clubs Champions League. The grip on the quintuple was stubbornly relinquished in a highly-competitive 2017/18 season, encapsulated by the fact the West Asia Premiership title was only wrestled from their grasp on the final day by Jebel Ali Dragons who pulled off a miraculous bonus point victory away in Bahrain. They retained the Champions League crown and lifted the inaugural UAE Premiership Cup. 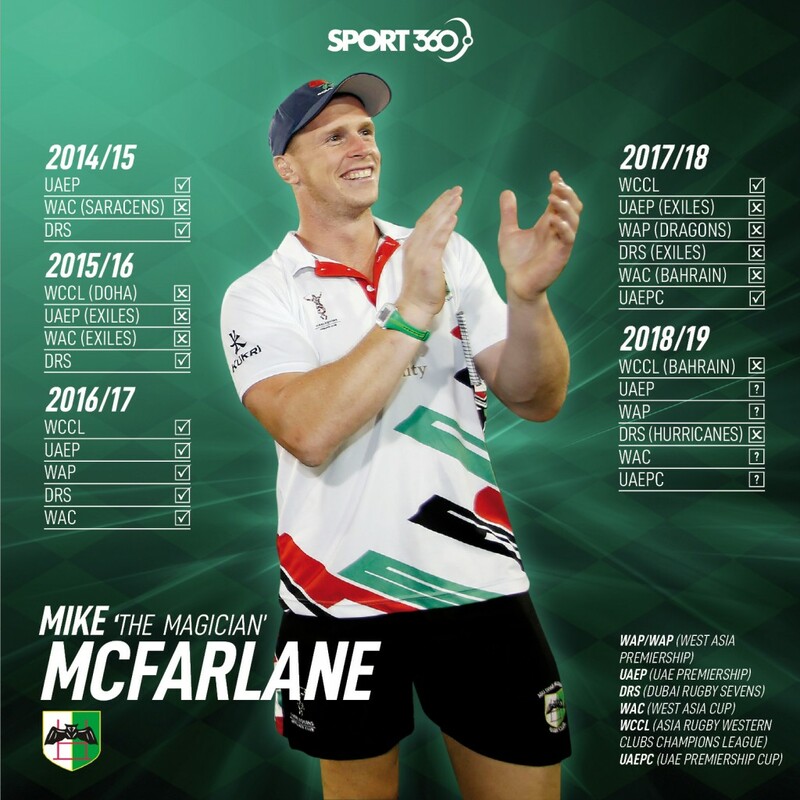 And even though Bahrain usurped them as Champions League winners this season and they suffered defeat to Dubai Hurricanes at the Sevens, McFarlane still leaves the club well placed – they have a 19-point lead over Dragons atop the UAE Premiership. 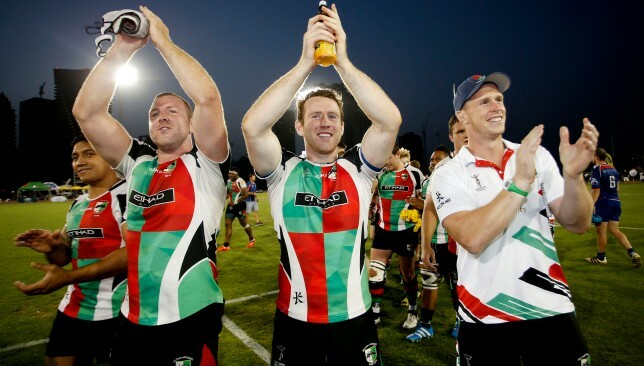 To put McFarlane and the club’s feats into context, Quins have won 10 of 18 trophies on offer in Gulf rugby in the previous four seasons – 10 of 20 if you include the two claimed already this season (the two titles in 2014/15 were achieved under Manning’s reign). 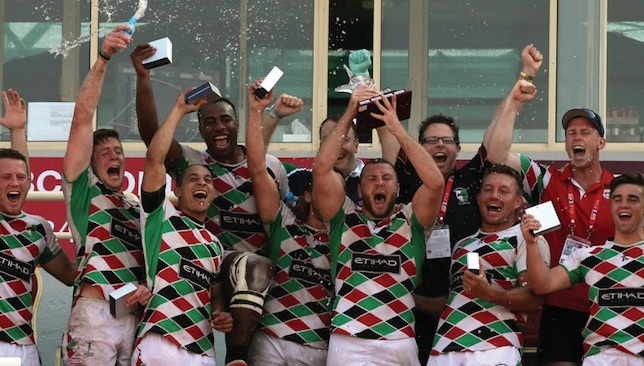 Abu Dhabi Harlequins won three straight Dubai Sevens titles from 2014-16. Quins have been fortunate to have McFarlane, who introduced a deep-seated culture of hard work and success that filtered down to all levels throughout the club. But the departing coach admits it is he who has been the lucky one. “I’m lucky the committee gave me an opportunity at such a young age but I’d like to think I’ve repaid their faith with the senior section in a great position in UAE and West Asia with an embedded philosophy, structure and organised set-up,” added McFarlane. “I transformed the club, but there was a revolution where three things helped to stimulate the progress. The club had a very ambitious, supportive committee led by (chairman) Andy Cole, a culture which I took time to embed through meetings with all seniors and continued integration, and the final piece was getting the best people in the right positions. Of course, all the hard work and dedication paid off, with the trophies pouring in. “Winning trophies. I’m not going to hide it. I love winning as everyone does,” he added. And of course, the glorious 2016/17 campaign is unlikely to be repeated in UAE rugby for a long time – if ever. “It was amazing to work with so many different players but if you want to talk about winning trophies, the 2016/17 season was beyond any expectations and we set them high,” McFarlane continued. “It still amazes me now. It’s probably the most competitive the league has ever been. There were four or five very strong teams. To win every trophy at first team level is mind blowing. McFarlane enjoyed Christmas at home with his wife Mandy and daughter Madison, as well as the extended family, before taking in one final piece of UAE life, the golf at the Abu Dhabi HSBC Championship at the beginning of January. Now it’s onto greener pastures, although whatever McFarlane does in the future, it’s sure to still be on a rugby field.